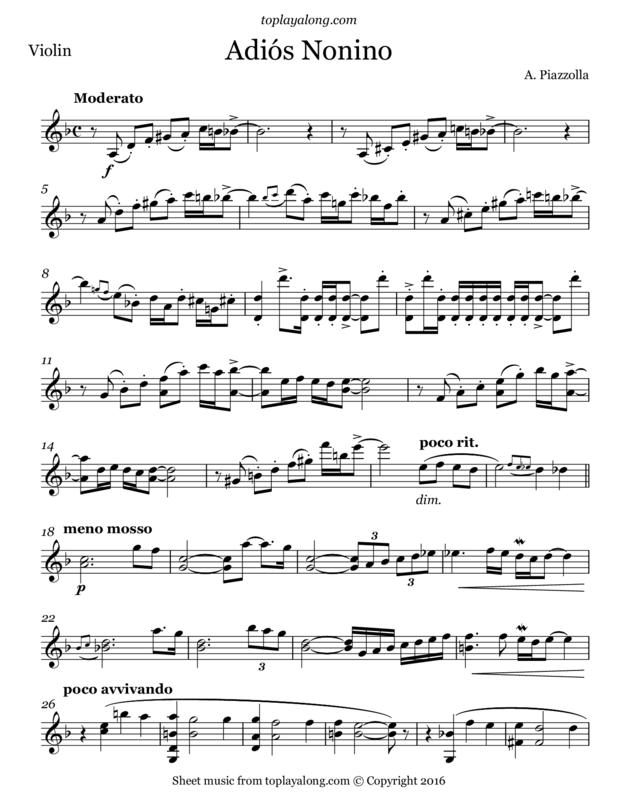 Adiós Nonino (Farewell, Nonino in Spanish) is a tango written in memory of Piazzolla's father, Vicente "Nonino" Piazzolla, a few days after his father's death. The piece was based on his earlier tango Nonino, composed in Paris in 1954, of which he kept the rhythmic part and re-arranged the rest with some additions. It would prove to be one of Piazzolla's most well-known and popular compositions, and has been recorded many times with many different arrangements and with various instruments. Argentine tango composer, bandoneon player and arranger. He revolutionized the traditional tango into a new style termed "nuevo tango", incorporating elements from jazz and classical music. A virtuoso bandoneonist, he regularly performed his own compositions with a variety of ensembles.